Jerry Hairr grew up in Sampson County on the family farm. His family was involved with tobacco, vegetable, and grain production as well as pigs and cattle. After finishing high school in 1976, Jerry stayed on the farm until 1980 when he began working for Carroll’s Foods. Jerry has worked in all areas of farm management and production management for Carroll’s Foods, Brown’s of Carolina and Smithfield Hog Production. 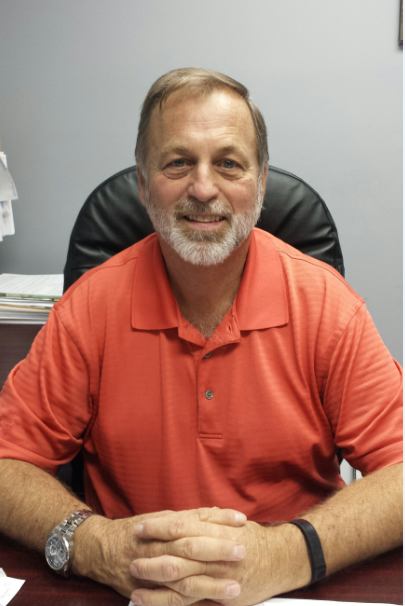 Today, Jerry is the production development and organizational improvement manager with Smithfield’s South-Central Region located in Rose Hill. Jerry enjoys volunteering with Special Olympics in Sampson and Bladen Counties, NC Envirothon, as well as volunteering with the Sampson County Extension Service helping with Sampson County Ag. Day and 4-H Swine Shows when needed. Jerry has served several years as a delegate for NPPC at Pork Forum and several years on the awards committee for the North Carolina Pork Council. Jerry also completed the Operation Main Street training several years ago. He is married to Teresa Hairr and they have two sons who along with their wives have given him two precious grandsons with three more due in the spring. Jerry is a member of Mt. Vernon Bapt. Church in Clinton.